Old furniture and junk accumulation is inevitable in any property, don’t let it get the better of you. If you need help clearing space, whether in your home, your garden or your office in Barnet, then look no further. Go Rubbish Go. provide an outstanding waste disposal in EN5, Barnet that will leave your property clear and empty. As seasoned professionals, we are fully trained and experienced in carrying heavy furniture and equipment that may cause injury, should you try to dispose of it yourself. Our expertise ranges from commercial clearance and furniture disposal, all the way to garden waste clearance, so you can trust that our abilities are suitable for any job in the N2 region – big or small. We provide not only fully-trained professionals, but all of the transport and equipment that could possibly be needed to efficiently rid your property of junk – so there’s no need for skip hire or to pay for a skip permit! If you’re interested in saving yourself time and money, hire our Barnet waste collection service now! Call us on 020 8610 9182 today for your free quote! Let the professionals take care of your EN5 waste clearance for you! We understand that every one of our customers has different rubbish removal needs, which is why we train our staff to provide a wide range of Barnet rubbish clearance services. To name just a few, the clearance services we provide in the EN5 and N2 areas include: house clearance, office clearance and even builders waste clearance. 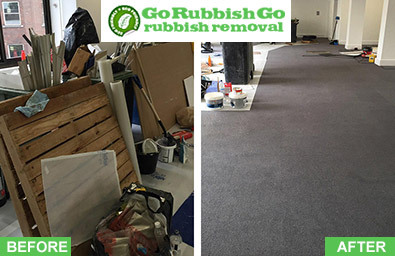 Our range of skills enables us to complete the removal of all of your junk at an efficient and fast pace. Our EN5 waste clearance methods are tried and tested so we know the best ways to get your possessions and waste moved without wasting a single second. We work hard to provide you with standards that will not be beaten, at prices that cannot be competed with in the region. I was in urgent need of a good quality EN5 waste clearance. The companies I had used previously were all cheap but offered low quality services. 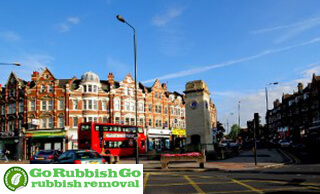 When I got the quote from Go Rubbish Go I thought that this would be the next awful company to deal with. But I decided to give them a try and booked with them. This is the best company I have ever worked with! From the initial conversation with the guy on the phone to the waste collectors who came to me home the service was impeccable. Get Your Property Clear Of Junk With Our Rubbish Clearance In Barnet, EN5! Go Rubbish Go. works in an environmentally friendly manner, disposing of your waste with all disposal regulations in mind. We aim for your old furniture and possessions to be re-used in order to reduce wastage. 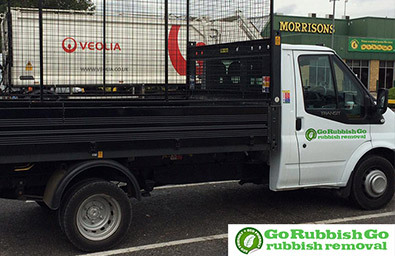 By hiring us, you can rest assured that you are choosing an eco-friendly rubbish removal Barnet company, and that all precautions are taken to protect the environment whilst we carry out our service to you. If you think that you and your junk filled property in Barnet would benefit from the help of our team of professionals, call 020 8610 9182 now for a free estimate or to book our rubbish disposal EN5 team! There are lots of excellent clearance services that we offer here at our company. They range from waste removal to household junk removal to office clear-outs. And of course, we offer many more. The find out more about them, we can help you if you call us now on 020 8610 9182. Go ahead and call to find out all the details. So many companies out there, you will find, are so unreliable. They tell you one thing and do another. We hate that, which is why we refrain from doing that to our customers. You need a waste removal Barnet, EN5 company you can trust and depend on, a company that will offer you everything you need. And that company is us. We boast a fine team of qualified experts who can do all the work, without you having to stand up. When you hire us, we don’t expect your help at all. When you hire us, you get more than what you pay for. Think we have what you need? Just give us a ring and let us help. Barnet is a borough in North London. With a population of over 331,500 people, it is the second largest borough in London. One of the area’s most well-known attractions is the Royal Air Force Museum, which is dedicated to the history of aviation; specifically the British Royal Air Force. The museum attracts visitors all over the world, and it is one of the key tourist areas of the borough. Barnet’s very own claim to fame can be found in the car park of the Brent shopping centre, which was the host of filming for James Bond’s The shopping centre itself boasts a variety of well-known high street brands and offers a more than adequate shopping experience. Besides shopping as a leisure activity, Barnet is home to an ODEON cinema to keep the locals entertained. The area also contains a variety of hotels, with ranging prices, to accommodate visitors to the area.